When it comes to unofficial holidays, April Fools’ Day is one of the weirder ones. 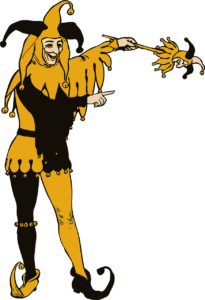 It’s a folk holiday of pranks and mild humiliations but, where and why it started is a mystery. 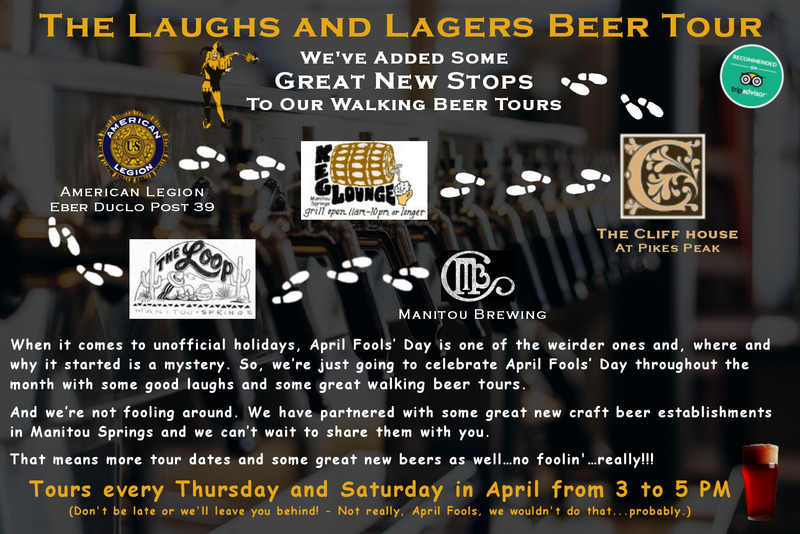 So, we’re just going to celebrate April Fools’ Day throughout the month with some great walking beer tours. And we’re not fooling around. We have partnered with some great new craft beer establishments in Manitou Springs and we can’t wait to share them with you. That means more tour dates and some great new beers as well…no kidding…really!!! We’ll also share a little bit of local history, do some storytelling and talk about the craft beer phenomenon! And remember: Real friends are those who, when you feel you’ve made a fool of yourself, don’t feel you’ve done a permanent job. On this tour we will be visiting 2 incredible craft beer establishments and the American Legion Post!!! Yes, the American Legion. Unfortunately, one of our craft beer establishments has, unexpectedly, had to close their doors. So, while we work to make arrangements with others, we will be starting our tour at the American Legion and, yes, we will be serving some unique crafts beer while there. There is a free parking lot at 10 Old Man’s Trail just across from Memorial Park. From the park a free shuttle will take you the short distance to downtown Manitou Springs. Shuttles run approximately every 20 minutes. For more information on parking, shuttles and directions, please visit the Manitou Springs website at: https://manitousprings.org/whats-happening/parking-information/. There is paid parking on the main streets. Parking on residential streets is for residents only. Please, no children and no pets for this tour. Back to the Tours page. If you have any issues purchasing a ticket through our website, please contact us.